The year is 2013. It was a summer of love and torrential downpours – what do you expect? I live in England! On one rainy afternoon (or two) I sat down and went through some great cocktails that all had one ingredient in common: Cointreau. This delicious liqueur, seen below, is a stunning, zesty little number that has been used to create some of the most celebrated cocktails ever imagined. Cointreau, in a grasp at a perfect USP that is craved by most spirit companies these days, created their own style of cocktail: The Cointreau Fizz. The idea was to show the world the versatility to this rather fragrant French liqueur. So summer is on its way, albeit in the traditional British ‘stealth mode’ way. As I write this it’s a slightly overcast day. The trees are rustling and yet my hand is cold… It’s because I have a fantastic “Cointreau fizz” cocktail (see below) in it! That’s right ladies and gentlemen, summer is here and that can mean only one thing: Cointreau cocktails rule supreme! Strong and volatile in the wrong hands, this cocktail should be feared as well as enjoyed. Shake and strain into a cocktail glass. A slight tweak on the classic recipe. The Mount gay rum lends its golden hue to this delicious drink. Shake and strain into a cocktail glass for the best results. Shake all the ingredients and strain into a wine glass. Top up with a bit of Prosecco if you fancy a touch of class. Pure class in a glass; Shake and strain the ingredients into a martini glass and enjoy thoroughly. Whichever recipe you choose one thing is certain: Enjoyment. Shake and strain the ingredients into a cocktail glass. Add ice if you wish. 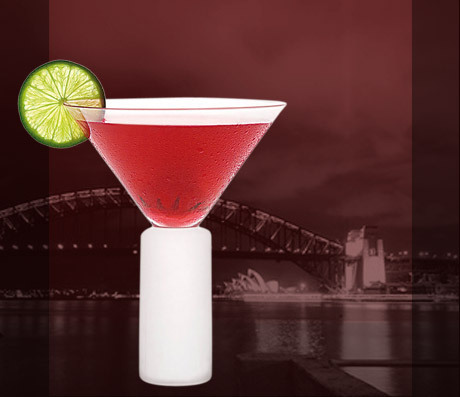 A classic cocktail for a classic liqueur; Shake and strain the ingredients into a coupe glass and garnish with a lime wheel. A slightly sweeter take on a Brazilian classic; shake and strain all the ingredients into a small ice-filled rocks glass and drop in a couple of lime wedges for garnish. This classy little cocktail is extremely simple: shake and strain into a cocktail glass. For added class garnish with an edible flower (Try some different coloured rose petals). A deliciously sweet Caribbean cocktail; perfect for those summer evenings. Shake all the ingredients and strain into a long glass filled with crushed ice. The reason this is my number one is for the pure versatility of the drink. 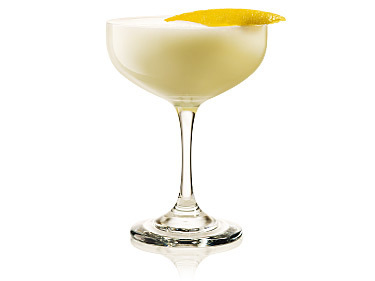 If you head over to the Cointreau website, you’ll find a list of cocktails both famous and lesser known. If you look carefully you’ll find 9 different recipes for ‘Fizz’ cocktails. The only difference (generally at least) is the garnish. As many of you know the garnish is extremely important to the taste of some cocktails, and none more so than with the Cointreau Fizz. 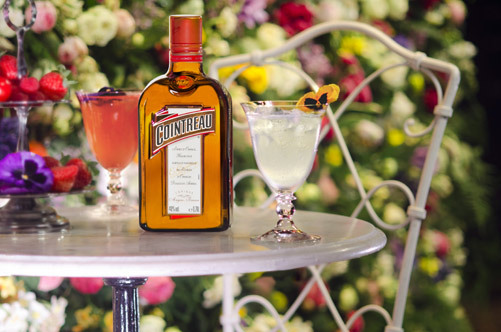 With recipes such as; Strawberry & Mint, Mint Tea, Cucumber & Basil and Passion & Pepper, the Cointreau fizz is, literally, a cocktail for all tastes. Method: add all the ingredients into a cocktail shaker (only use the juice of the passion fruits). Shake until the metal is frosted and then strain over ice into a glass. Top up with soda water. Method: Muddle the strawberries and mint leaves in a Boston shaker. Add the Cointreau and lime juice and shake until the metal becomes frosted. 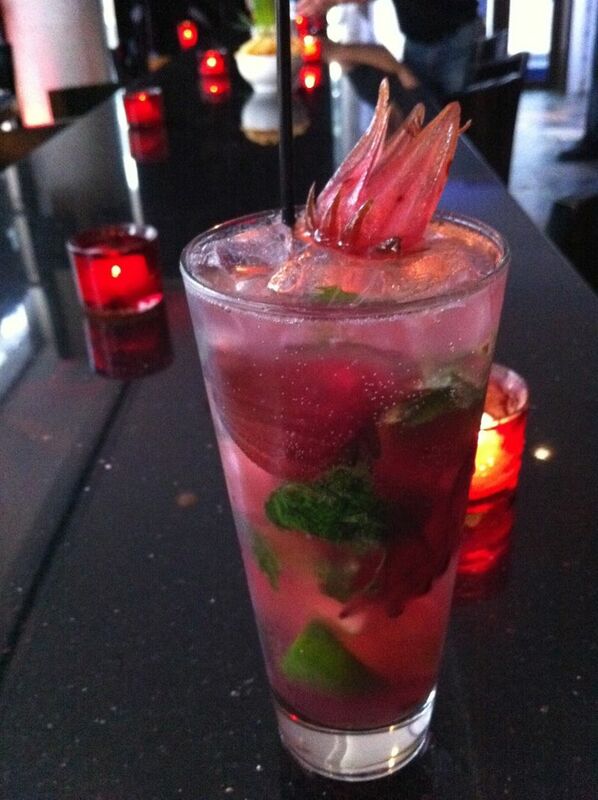 Strain into a glass, over ice and garnish with a strawberry slice and a fresh mint sprig. 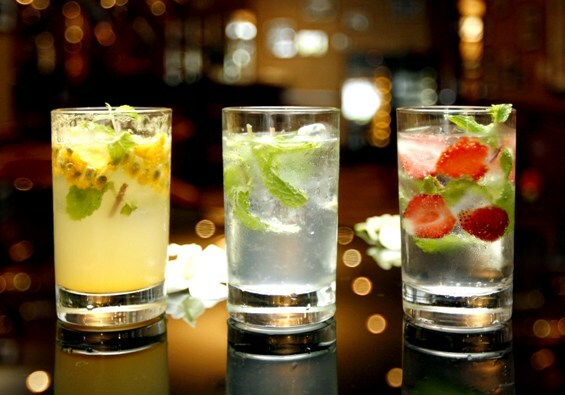 Hopefully, these cocktails help you enjoy your evenings, summer or no. If you have a penchant for Cointreau then why not take a peek at my other Cointreau related posts? Click here to see more! Disclaimer: All of the views and opinions on this post are my own and have not, in any way, been influenced by Cointreau or any other party. A selection of the recipes in this post (as well as much more) can be found under the ‘cocktails’ section of the Cointreau website. With their vivid red/burgundy colours and stunning petal work, Hibiscus Flowers, fresh or preserved are stunning to look at and will capture the focus of any avid customer/drinker. And the best thing about them is they can be bought by anyone. You don’t have to be a bartender at a top bar, or a scientist stuck in a mixology lab, Hibiscus flowers are a garnish/ingredient anyone can buy and use. However, and here is the catch, you have to know when to use them and with what alcohol (especially when making cocktails). There are not just flowers on the market either as you can purchase hibiscus flavoured sugar syrups, sodas and even sorbets. Most commonly used as an elegant addition to any glass of champagne, Wild Hibiscus flowers can make any champagne cocktail look that little more vivid. They’re even edible which makes them the perfect garnish in my mind. 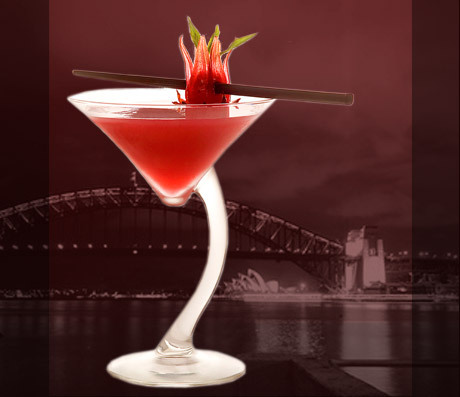 After perusing the official website of Wild Hibiscus, the company who make and sell the flowers in syrup (the ones you’ll want for your cocktails) it is apparent that not only is this an elegant product but also the company is somewhat elegantly run. Family owned and the sole distributor of their flowers to 30 countries worldwide (including here in the UK, and over the other side of the pond in both the USA and Canada). Their brand ambassador, Canadian Mixologist Danielle Tatarin, distributes them across Canada and has helped create some of the magical cocktail found on the website I mentioned earlier. 1) Shake all the ingredients over ice and strain into a chilled Martini cocktail glass. 2) Garnish with the stuffed hibiscus flower. 1) Place the Flower upright in the bottom of a champagne flute. 2) Mix the syrup and lemon juice together and pour over the flower. 3) Add crushed ice on top of the flower and syrup. 5) Top up with the champagne. 1) Place the flower upright in a martini glass. 2) Shaker ingredients over ice vigorously for around 10 seconds. 3) Strain into the glass and garnish further with a lime wheel on the glasses rim. Now I know it’s been back for a while now, but if you’re anything like me then you’llbe watching them all over again any day now. And this time why not add a little more fun into the mix (if that were even possible) with some cocktails that are perfect for the show. Whether you’re scared of seals like Buster or just like to drink all day long like Lucille. Er-hem. Shake the ingredients over ice and strain into a cocktail glass. 1) Shake all ingredients over ice and serve in a rocks glass. 2) Garnish with a vanilla pod and a grating of nutmeg. 1) Combine the ingredients in blender and blend until smooth. 3) Garnish with an orange wheel on each glass. 1) Fill a glass with ice and squeeze in the lime juice. 2) Top up with ginger ale. 3) Float the dark rum on top of the drink (quick take a picture). 4) Stir well before drinking. This classic is a fantastic summer evening drink, both crisp and refreshing; it’s the cocktail equivalent of a nice cold bottle of cider (only far better obviously). This also ties into the post’s theme as the patented (that’s right this drink is patented!) recipe needs to include Goslings Black Seal Rum. That’s right; Goslings patented a cocktail – cheeky buggers. 1) Muddle the blueberries in a cocktails shaker with the sugar syrup. 2) Add the vodka, absinthe & lemon juice, shake well over ice. 3) Pour into an tumbler (do not strain). 4) Drizzle with the Chambord (use combination of 50% Chambord, 50% Brandy if you have some). 5) Top up with ginger ale and garnish with a sugar cube and a few blueberries. A very patriotic American cocktail, if you want to try something a little more, American, try substituting the vodka for Rye Whisky (or Bourbon). 1) Drop in the mint leaves and place the lime chunks skin up on top. 2) Muddle gently to release the limes juice, and oils (from both the lime and mint). 3) Add the sugar syrup and gently mix. 4) Fill ¾ of the glass with crushed ice. 5) Pour in the rum, and top up with more ice. Shake over ice and strain into a coupe glass. 1) Shake all ingredients over ice. 2) Double strain into a cocktail glass. 3) Garnish with a lime wheel. Another classic this cocktail is for the ladies… Combining some great ingredients, this is the lighter version of a martini (the cranberry juice waters down the alcohol). 1) Place all ingredients in a blender with crushed ice and blend until smooth. 2) Pour into a daiquiri cocktail glass. 3) Top with a splash of crème de Banane and a Maraschino Cherry. 1) In a blender, combine the Sambuca, banana and crème de banane with crushed ice. 2) When smooth, pour into shot glasses and serve with a caramelised banana slice. Note: This recipe is for a pitcher sized portion, and will serve 4. 1) In a large pitcher, layer the fruit with ice until full. 2) Add the pimms (and optional gin) and soda. 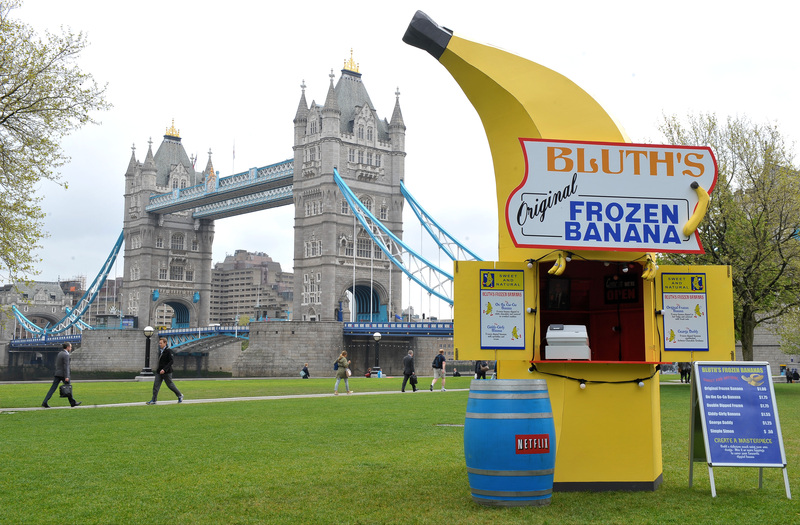 This is truly a british take on Arrested Development. It’s as popular over here as it is in the States, and it’s only fair to share our input… Try using Cola for a slightly American feel, should you feel guilty. 1) Blend all ingredients until smooth (use a high setting for best results). 2) Divide up between two glasses, garnish with a chocolate & sprinkle covered banana slice and serve immediately. So there you have it, some great cocktails for watching a great show with. For best results, make in huge batches and invite all your mates over. They’ll love you for it, I promise you that! For a little added spice, why not try this specifically made up drinking game? 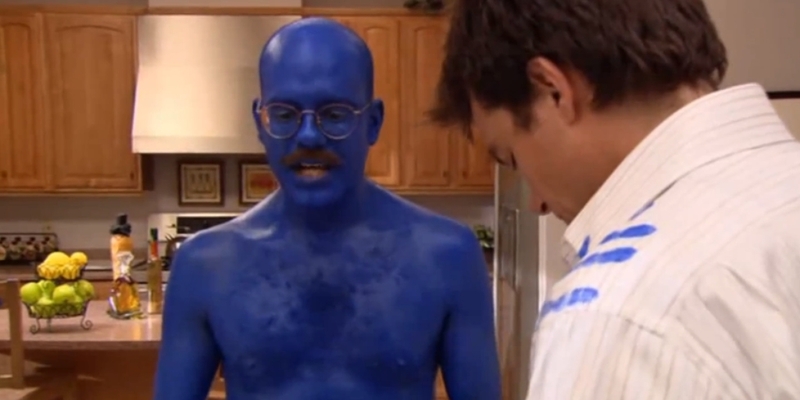 Arrested Development is available on Netflix (UK & USA), and even the new season (funded and created by Netflix themselves) is available. What are you waiting for? 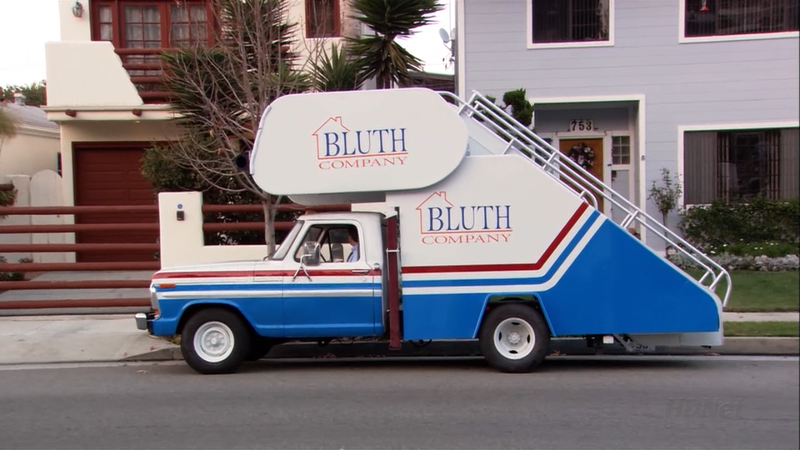 …And now the story of a wealthy family who lost everything, and the one son who had no choice but to keep them all together… It’s Arrested Development. Place the mint leaves in the bottom of the serving glass and place the lime pieces on top of the lime (skin-side up). Pour in the sugar syrup and gently muddle the ingredients (be careful not to tear the mint leaves as the drink will become bitter, you just want to loosen the oils from the leaves). Pour in the rum and stir very gently. Fill the glass with crushed ice and top up with the lemon juice and lemonade. Stir to mix up the drink one last time. Garnish with a lime wedge and mint sprig. Serve with 2 straws. Mix together the rum, cider and ginger ale and pour into a vanilla sugar rimmed glass (filled with ice). Garnish with half the vanilla bean. Combine and shake all the above ingredients over ice. Shake until the metal of the shaker is well iced. Strain into a rocks glass (over crushed ice if you prefer) and garnish with a combination of the following: Lime wedges, pineapple wedges, maraschino cherries & Orange twirls. Shake all the ingredients over ice and strain into a cocktail glass (martini). Garnish with a thin slice of lime/lime twirl. 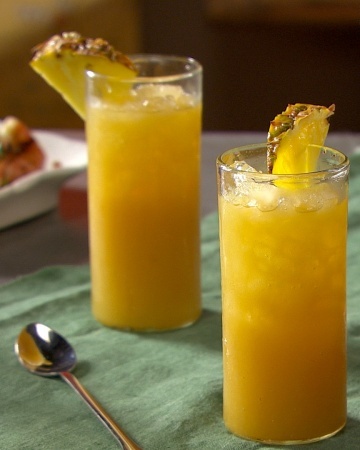 No.6: Mango & Pineapple Rum Cocktails…. Puree the mangoes, rum and mineral water and pour 120ml of puree into each glass. 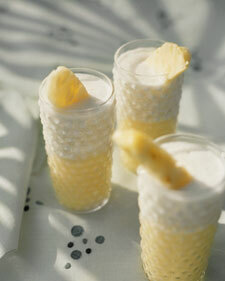 Top up the glasses with ice and pour over the pineapple juice (fill the glass). 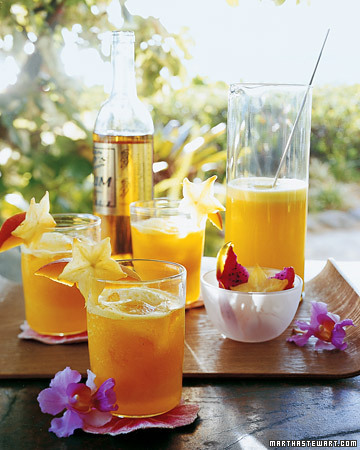 Garnish with the mango slices and tropical/exotic fruit (add some flowers to make the drinks look a bit more tropical). Same preparation as no.10; Use as little or as much mint/lime as you prefer but no less than 1 lime worth of chunks/quarters. Top up with soda water instead of lemonade. Top tip: for a hit of flavour, add 1-2 pieces (more for small berries) of your chosen fruit into the shaker and shake with the rest of the ingredients (various amounts of fresh juice will also work – although slightly dilute the overall strength of the drink). Blend all of the ingredients (except the garnishes) and blend for about 1 minute. Pour into hurricane glasses and drop in the pineapple spears. Wipe a lime twirl around the rim of each glass and drop it into the drink to finish. Serve immediately with straws. 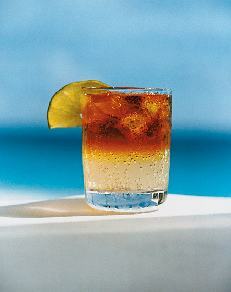 Top tip: Choose nicely flavoured golden rums; Brugal Anejo or Bacardi Gold are great choices. For an added touch of class use Angostura 1919 rum. Also if you fancy a splash of heat, use a spiced rum and drop in 2 teaspoons of fresh ginger juice just before you blend., It’ll be subtle but worth the underlying heat. Fill a highball glass with ice. 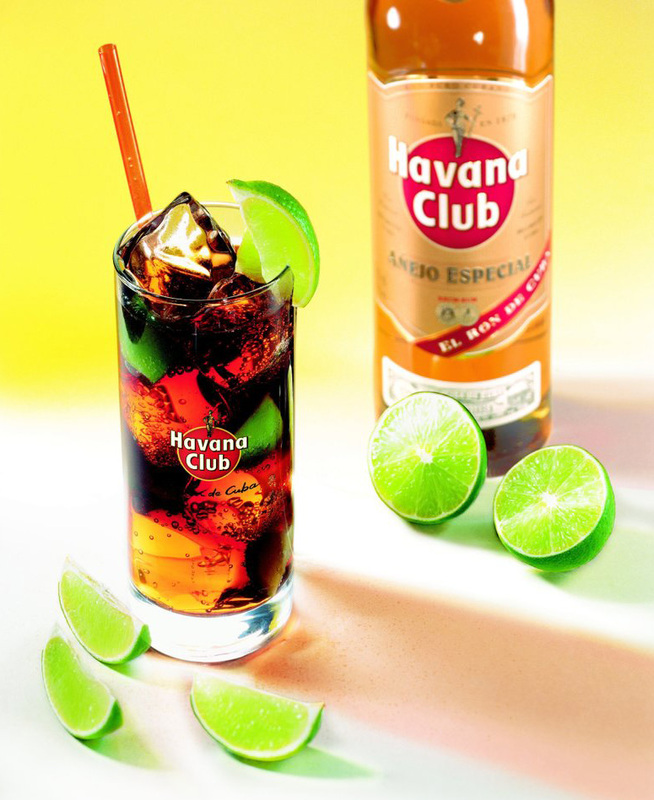 Pour in the rum and squeeze in half a limes worth of juice (less if you prefer), and top up with coca cola (original – all the others distort the classic taste). Over crushed ice, pour in the rum and top up with the ginger beer. Garnish with the lime wedge (giving the drinker the choice of adding it to the drink – personally I add 25ml lime juice in, but that’s just me!). ‘Goslings Black Seal’ is the rum normally used in this cocktail, but it is hard to find here in the UK. For an easy to find alternative try my personal favourite: ‘The Kraken Black Spiced Rum’ it’s gentle heat and subtle caramel/molasses flavours work very well with the ginger ale. Top Tip: For an added hit of fresh heat try adding a couple of teaspoons of fresh pressed ginger juice.